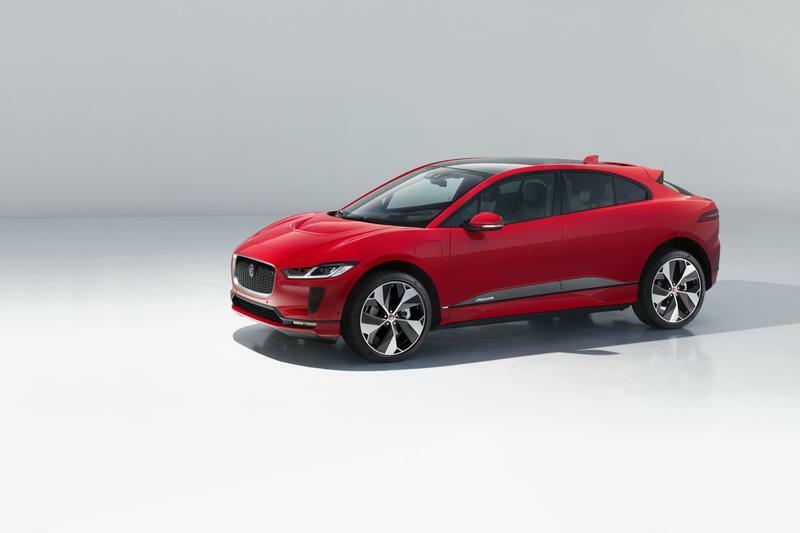 Making a futuristic looking vehicle wasn’t the only path Jaguar designers had to take when imagining the new electric I-Pace. 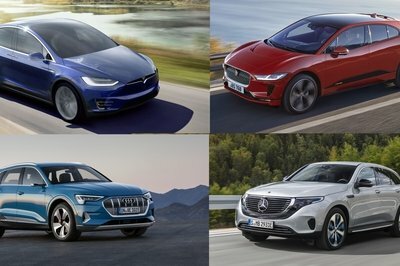 In fact, they’ve made it to perfectly suit the lineup without being too futuristically obsessive, like, for example, Mercedes-Benz was with its EQ C.
However, the I-Pace, as is the case with any other vehicle on this list, fits in a rather strange market group of vehicles. Considering its dimensions, the overall look, feel, and strange astuteness on the road, it cannot be directly compared with any vehicle here. Seemingly, it is trying to find its own place under the sun. 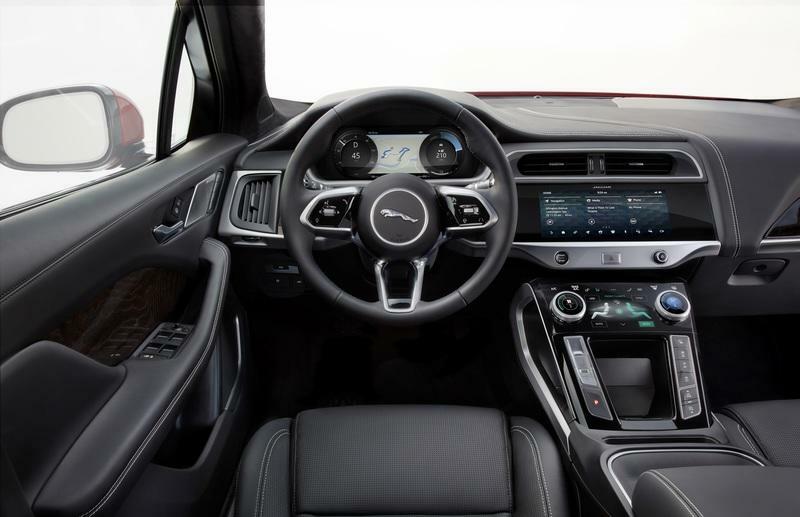 he ambiance inside is largely dominated (and decorated, might I add), with three large screens - one behind the steering wheel, the other on the center of the dash, and the third on a special cantilever underneath the main infotainment screen in the middle. 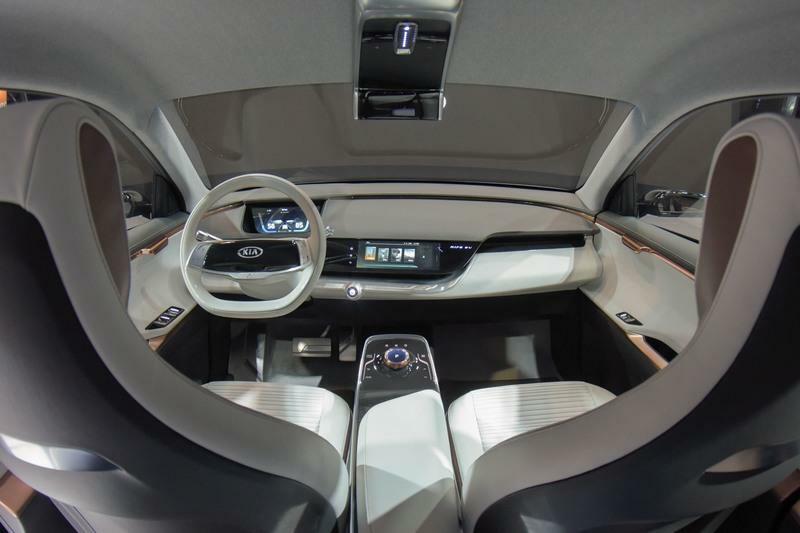 This arrangement reminds me of what Audi is doing with its cars (including the E-Tron SUV) and, more precisely, what Range Rover had done with the Velar interior. 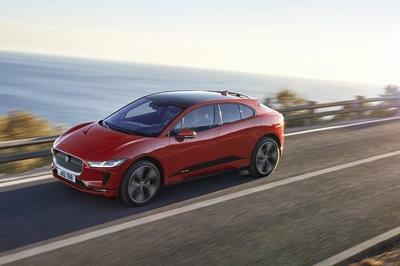 The Jaguar I-Pace is powered by two electric motors, each of which develops 200 horsepower and 257 pound-feet of torque. This makes for a propulsion system with a maximum power output of 400 horsepower and 513 pounds-feet of torque. Interestingly enough, the drag coefficient isn’t as low as on some other cars on this list - the drag coefficient of the Jaguar I-Pace is 0.29 Cd. Regardless, 400 horsepower is enough to accelerate 4,702 lbs worth of I-Pace to 62 mph in 4.8 seconds and to an electronically limited top speed of 124 mph. Charging technology: Jaguar wall box. 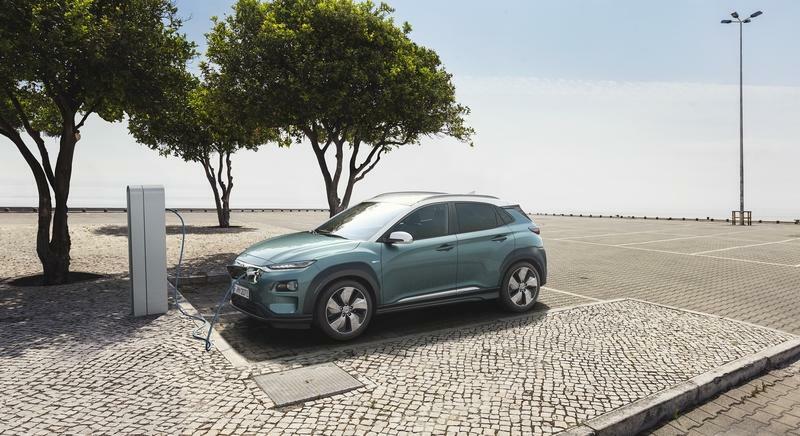 The I‑PACE is equipped with a 7kW, single phase AC onboard charger, which can fully recharge the vehicle overnight and deliver up to 35km (22 miles) of range per hour. A home socket can charge the battery for up to 38 miles per night. A typical 50kW charger can deliver up to 270km (168 miles) of range per hour*. As the public charging infrastructure improves, the I‑PACE will be equipped to accept up to a 100kW DC charge rate. This means you can easily add 100km (62 miles) of range in just 15 minutes. Wow Factor: It’s kinda beautiful. All is said about Tesla cars in general. I mean the Model X still feels somehow fresh and surprising, despite boasting a design that could be only called an “inflated Model S”. Sure, it is more of a minivan than an SUV, but its size, the fact that it offers so much room inside, and those insane doors do make up for a lot of styling dullness some may notice on it. The seats are cool, the room is great, the options are nice, but the overall ambiance lacks the composure of high-end SUVs some on this list most certainly extail. 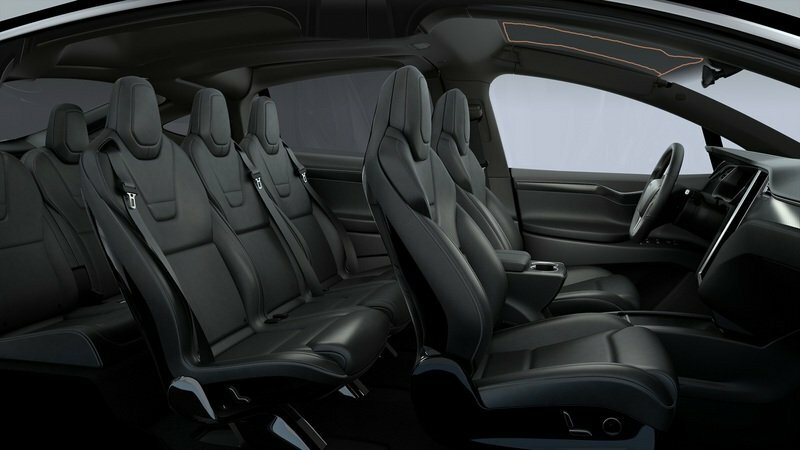 I find the Tesla Model X interior too simplistic. Too “out there”. It is somehow lacking that wow factor and premium feel its price would suggest. Bear in mind, the Model X 75D is the least powerful Tesla Model X. 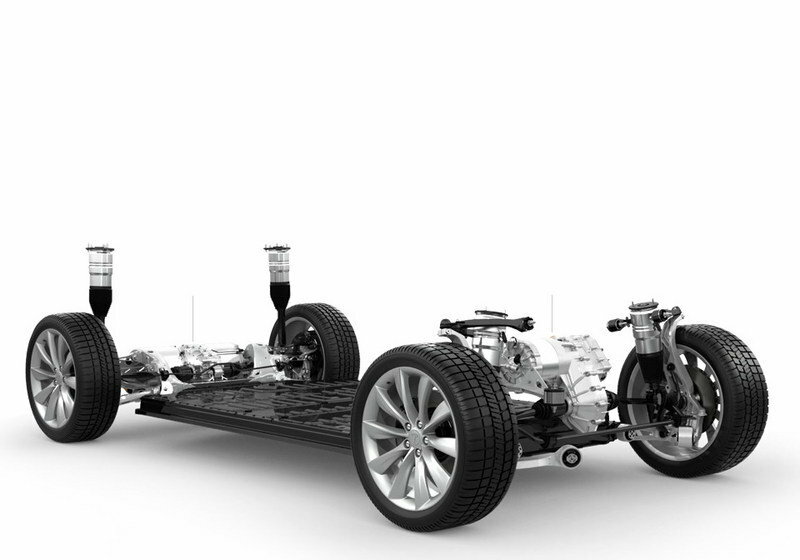 Yet, the electric motors, in this case, develop 387 pound-feet of torque and 329 horsepower. Definitely not the most powerful car here but most certainly powerful enough for any imaginable electric adventure. The performance says a lot. It will reach 60 mph in 5.2 seconds and top out at 130 mph. Read our full review on the 2016 Tesla Model X. 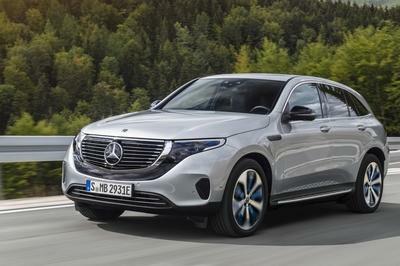 As far as futurism goes, the Mercedes-Benz EQ C seems like the most futuristic car on this list. Not only does it take Mercedes’ current design language and translate it into something new, but it does all that with the basic GLC. See, the EQ C is about the same size as the GLC and even shares a lot of tech with it. The EQ C basically doesn’t bring anything revolutionary in terms of interior design. 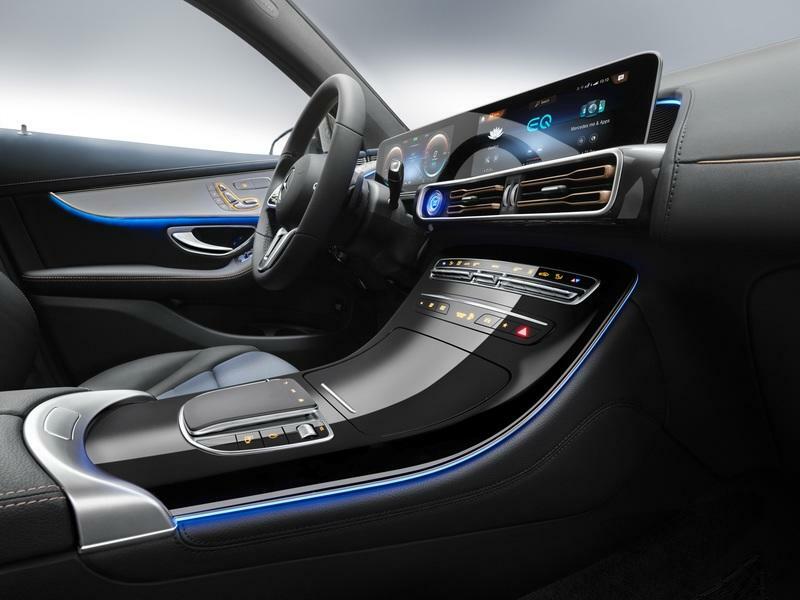 However, it does feature the latest evolution of the MBUX infotainment system, as well as the design you may, basically, find on any modern expensive Mercedes - with a large single piece display that extends from behind the steering wheel towards the center. 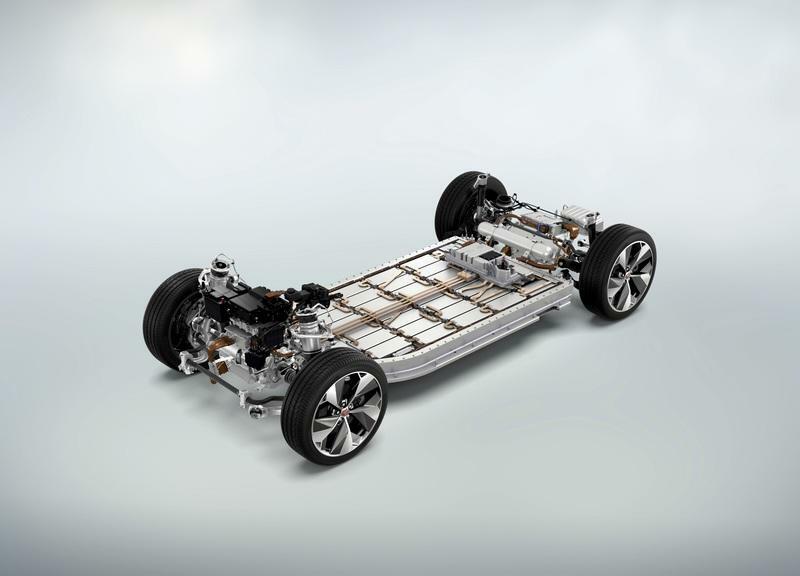 Dual electric motor setup seems to be mandatory for the new generation of the electric SUVs. 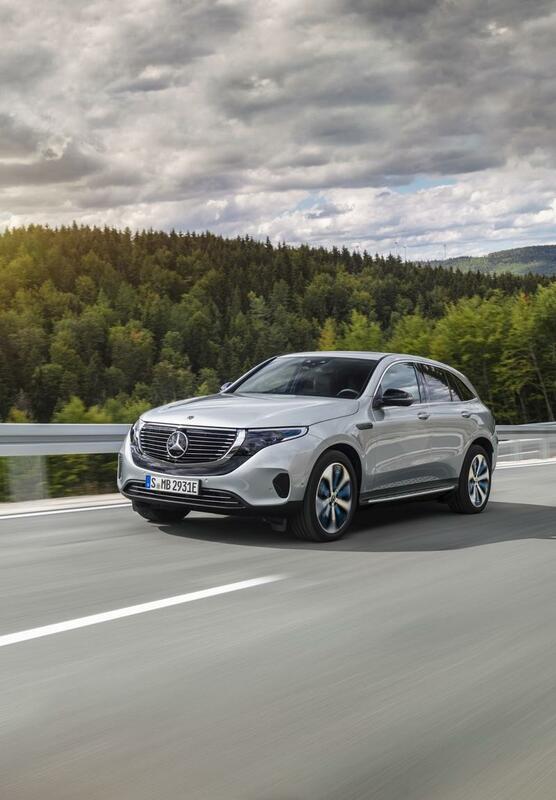 The Mercedes-Benz EQ C, also, has two electric motors that develop 402 horsepower and 564 pound-feet of torque. The thing is that the EQ C is heavy - 5,346 lbs. Despite its weight, it will jump to 62 mph in 4.9 seconds and to a top speed of 112 mph. 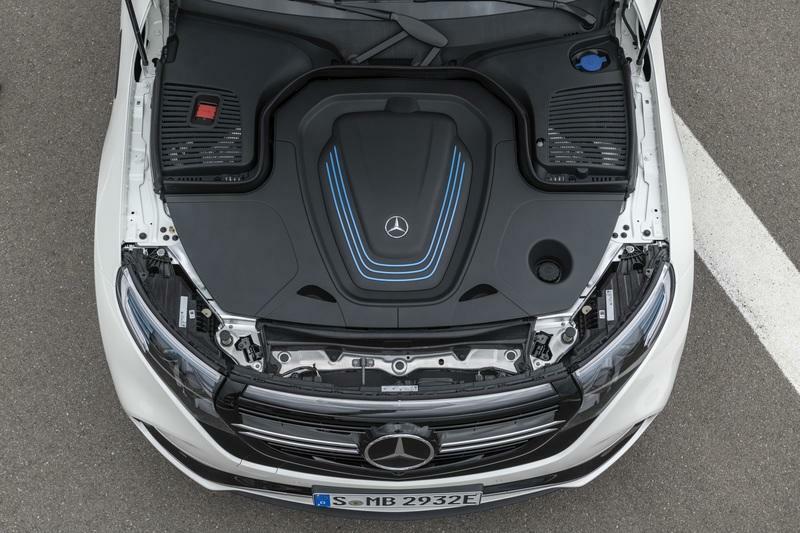 Charging technology: CCS Combo DC fast-charge port will handle up to 110 kW, which Mercedes says should charge the battery to 80 percent in about 40 minutes, the EQC includes a 7.4-kW onboard charger that enables an overnight recharge. Safety Equipment: Active Distance Assist DISTRONIC, Driving Assistance package, Active Brake Assist, Evasive Steering Assist, and PRE-SAFE® PLUS, Blind Spot Assist. Wow Factor: It’s an electric Mercedes-Benz that looks like it is from the future. 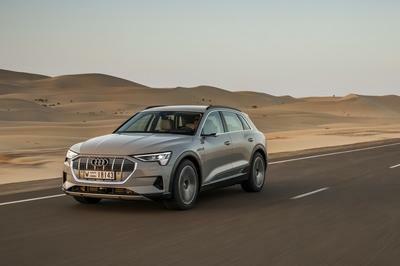 When introducing the new Audi E-Tron SUV, Audi officials said that the company wanted to create a normal, regular car, only powered by electricity. 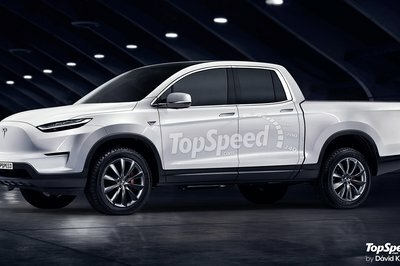 The result is the E-Tron SUV which does look like any other Audi SUV. Had Audi revealed it with an ICE no one would have batted an eye. But it is not ICE powered. That is the whole idea behind it - to be a normal Audi. 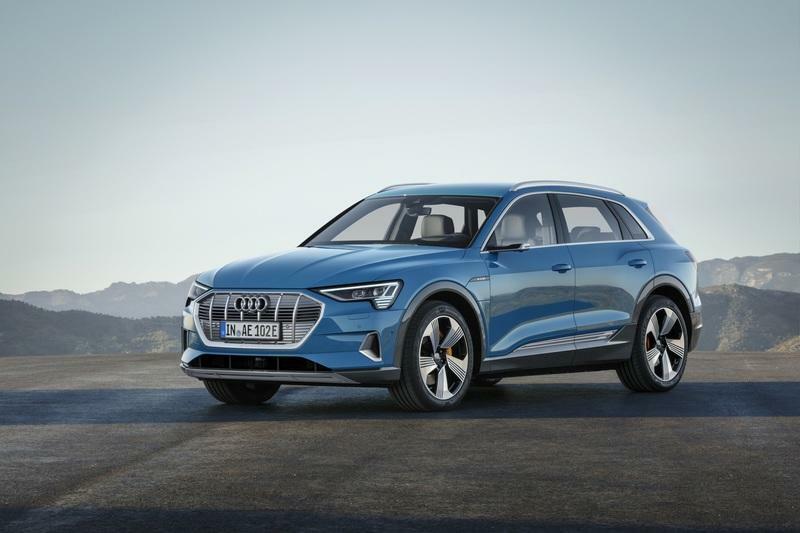 Taking the main cues from the high-end ICE powered models, Audi modeled the E-Tron SUV interior to be as impressive as the one in its latest SUV. This includes the latest MMI integration. Probably with even more gear than you may have on the regular models. 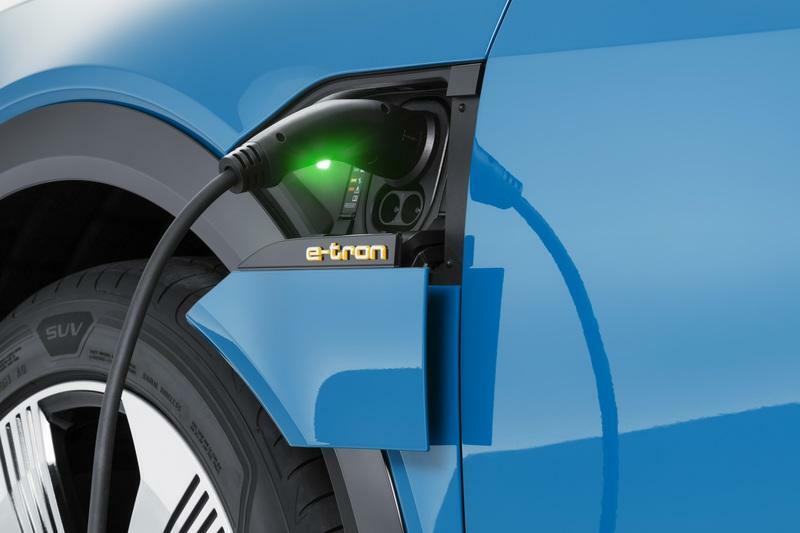 Audi actually reported that it did not want to chase any sporty performance figures with the E-Tron. Not in those words, mind you. Nevertheless, the motors produce 402 horsepower which is enough for a 0-60 mph sprint in 5.5 seconds. Top speed? 124 mph. I am certain this is good enough. 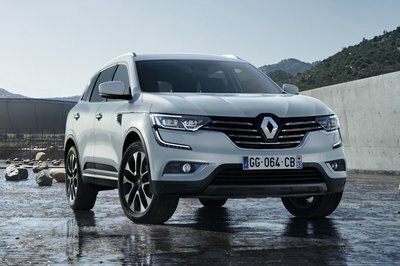 Safety Equipment: forward-collision warning, automatic emergency braking, blind-spot warning, rear cross-traffic warning, lane-departure warning, adaptive cruise with lane-keeping assist, exit-warning system, Park Steering Assist. 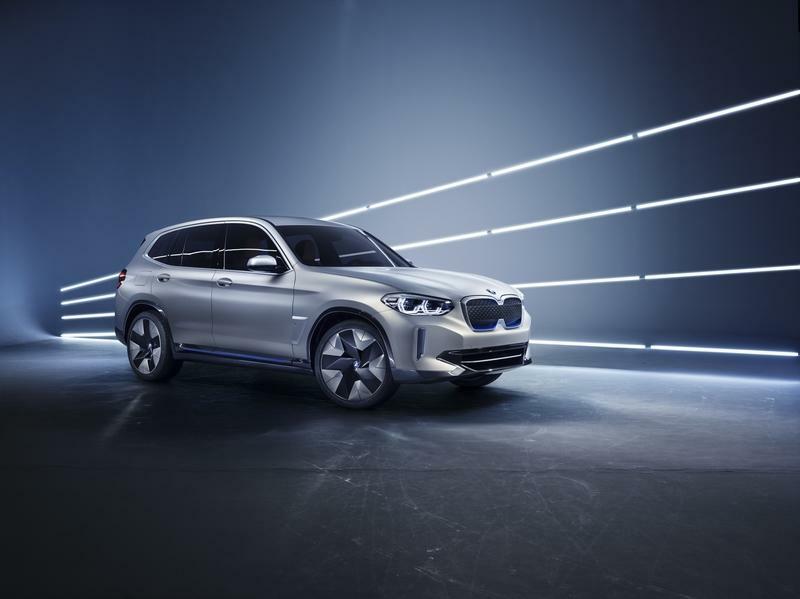 Much like the Audi E-Tron, the BMW iX3 feels like a normal SUV, only slightly adapted for its electric foray onto the market. Just look at it. Bear in mind that it is still in the concept form and still looks like a nicely touched up regular X3. 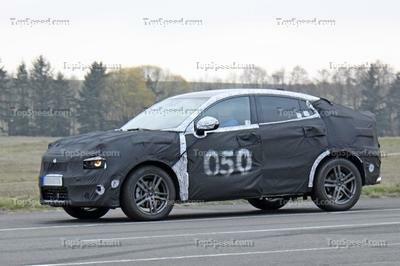 I can see the production electric iX3 SUV (it will be produced at the BMW Brilliance JV plant in China) gaining an even less intrusive exterior electric guise. BMW is keeping the interior of its iX3 concept under wraps, but we can expect it to take some cues from the BMW i cars as well as the BMW X3 SUV. We do not have a lot to go on with the iX3. 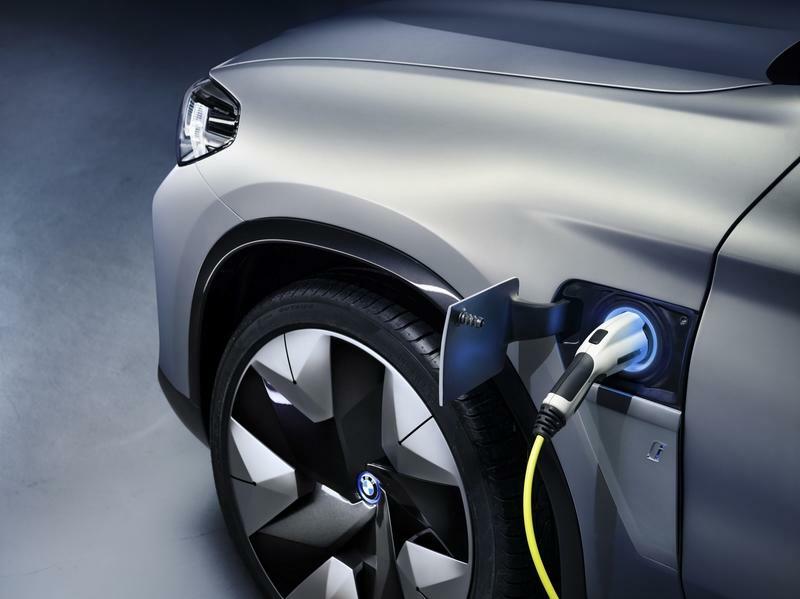 The thing is that BMW said the iX3 has a 270+ horsepower electric motor under its grey body and enough battery juice for 250 miles of uninterrupted range. Performance is still unknown, but we will upload an article as soon as BMW publishes more about the iX3. 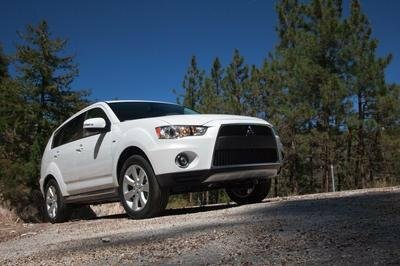 Range: 250 miles (according to WLTP? Read our full speculative review on the 2020 BMW iX3. 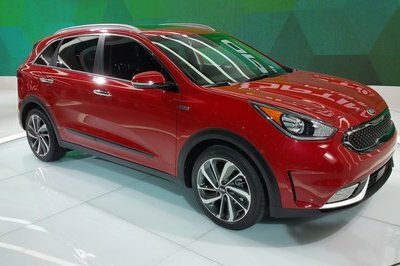 Exterior differences between the Kia Niro and the Kia Niro EV are basically minimal. 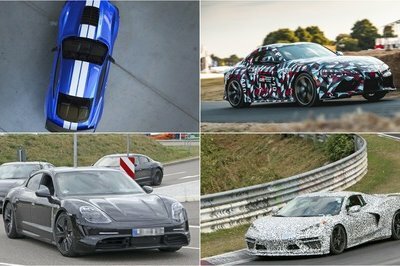 It is the same car, only with a new closed off grille, different wheels, and some other aerodynamic enhancements. Obviously, not as special as some cars on this list clearly are. This is not shocking given that the Kia Niro EV is one of the cheapest here. 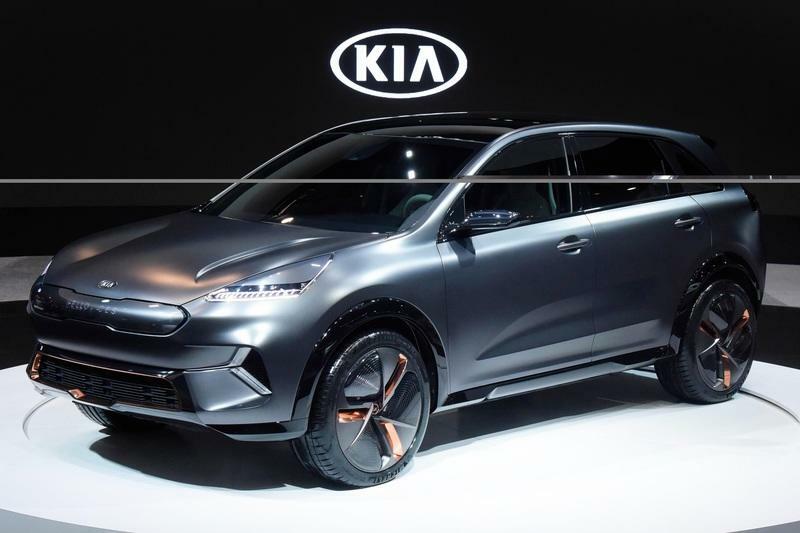 While the Kia Niro EV does have some special touches like the rotary gear selector and the parking brake button, it is in fact just the same as in any other Niro. Not bad in any shape or form, but not special either. Power comes from the 201 horsepower and 291 pound-foot electric motor good for acceleration to 60 mph in 7.8 seconds. Something like a warm-hatch. Safety Equipment: Forward Collision Warning with Forward Collision-Avoidance Assist, Smart Cruise Control with Intelligent Stop & Go, Lane Following Assist with a Level 2 autonomous system. Wow Factor: Nothing special, except, it is a sub-40-grand small EV crossover. Let’s get real. Even the ICE-powered Kona looks nice. The Kona Electric looks even better. Not necessarily more beautiful, but more interesting for sure. Somehow, I feel that compared with the regular Kona, the Kona Electric wears a scarf or something. It has an aura like that. As is the case with the Niro, the Kona hides only slight changes inside. 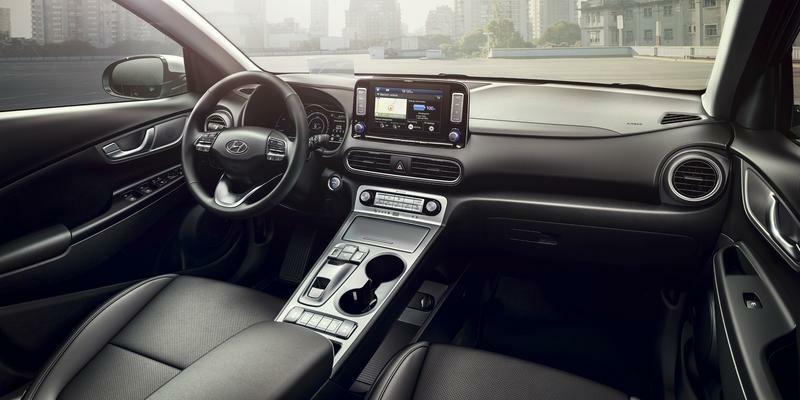 The central part under the dash feels a bit different, but the overall look is still very Hyundaish. Considering it shares its drivetrain with the Niro EV, the Kona Electric also has similar performance. Its 201 horsepower motor will accelerate the quite substantial crossover (almost 1.7 tons of it) to 62 mph in 7.6 seconds. Tow rating: Hyundai does not recommend using it as a tow car, but I guess a few bicycles at the back won’t do any damage. It really looks like managers of all of these manufacturers sat down around a table and made an agreement. Let’s install a lot of displays inside, work on the aerodynamics as much as possible, keep the motor power at a similar level and while at that, let’s all install two motors in our SUVs. I would not be surprised to learn that this really happened. 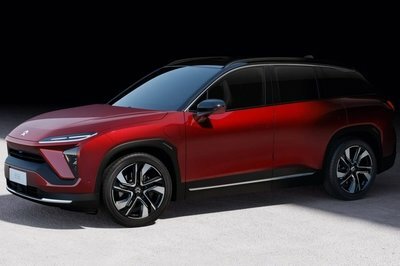 While it is nice to see the dawn of an all-new class of vehicles, I find it quite uninspiring and rather disappointing to see all the cars with basically similar performance, the same technology underneath, and the same freaking SUV/crossover architecture. That is why the Kona Electric and the Niro EV seem like the most honest of all of them. 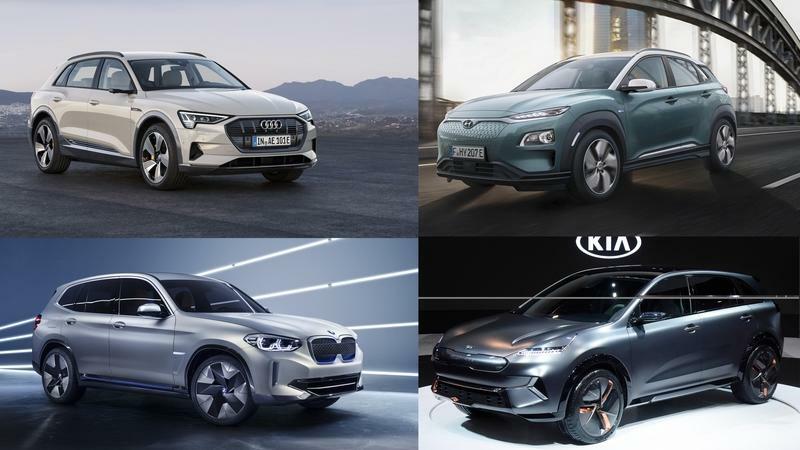 Hyundai and Kia, if nothing, tried to scale down the tech. Others on this list, while definitely sporting unique looks and somewhat different dimensions compared with one another, are rather similar. Two motors, a 400ish horsepower output, all-wheel drive, basically the same safety gear, and advanced infotainment systems with a lot of displays. All of the premium cars here have all the same ingredients.